And a warm welcome to this week’s edition of the MIS Online newsletter. In this issue we report on Suggs’ reprisal of the Our House Musical, which not only will he be appearing in, but it’ll be staged in a prison. We kid you not! We give you the lowdown plus provide details of how you can get yourself tickets to this rather unique event. Elsewhere Daren West gives us the full lowdown on the recent Silencerz gig at The Spotted Bull Pub, and we also have news on a forthcoming Madmeet set to coincide with the next gig of theirs on the 14th. Along with that little lot we have the usual rundown of gigs in Showtimes, the latest batch of snippets from Twitter, in Tweets of a Dove, our usual lookback in I Remember Way Back Then, and much more besides. Do you expect us to talk? 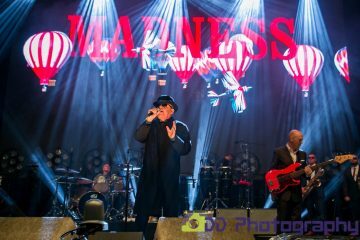 More information coming soon from Madness.co.uk on a large number of events, subscribe to official madnews with your email and hear first. 14th – Afternoon. From 1pm till 5pm. The legendary Dublin Castle, Camden. 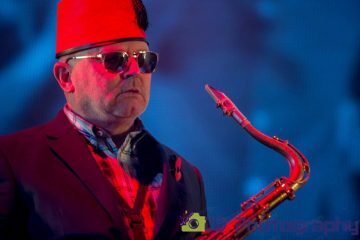 The Band return to one of the venues they used to play in the 80’s and the ancestral home of Madness. With a Mad Meet and support from MIS DJ’s and a Crunch! DJ set from, Lee Swandale. £5 on the door. 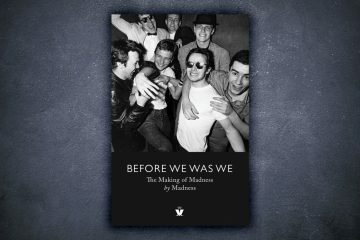 Now only £8, and coming bundled with a link to 3 free Lee Thompson downloads, plus Rag and Bone Man download, from Madness. It really is a really nice looking and well-written Mad-Head little bible. One all collectors should get hold of. Madness lead singer Suggs is to reprise a role he played in the West End show Our House… alongside hardened criminals in one of Her Majesty’s prisons. He is to play Joe’s Father in Pimlico Opera’s revival of the 2002 musical, based on the songs of 1980s pop group Madness, when it is revived at Isis Prison, Woolwich, from 27 February to 7 March. Pimlico’s team of professional actors and creatives will be working with prisoners playing the smaller and ensemble parts in the seven performances, as they have done ever since Sweeney Todd kicked off the experiment at Wormwood Scrubs in 1991. Suggs, the lead singer of Madness is taking on the role of Joe’s Father, Victoria Ward, (Sugar Kane, Sugar and Madame Thenardier, Les Miserables) will play the Mother and Jocasta Almgill who was sensational as Dolores in Sister Act last year is Sarah (Joe’s girlfriend). Many of the other roles, chorus and backstage hands will be made up from the prison population. They will rehearse for 5 weeks before opening the doors to an audience of 250 for seven nights. Our House is a unique production staged within Isis Prison. Consequently, the following additional terms and conditions apply to your booking. Please read the following information carefully before proceeding. If you have any questions about these terms and conditions, please call us on 01962 73 73 73 for more information. Having missed my sister’s birthday the weekend before I suggested if I could treat her and also my mum to a meal, a few drinks and maybe take in some live music. My plan worked a treat as we had a superb meal each at The Spotted Bull Pub in Hemel Hempstead on Saturday. As we were finishing our food the start of Wake Up is wafting from the part of the pub where the stage is. The pub itself is really good with the eating area at street level then to get the stage to see the band, walk up a few steps, through a short corridor then you’re towards the equivalent of the mosh pit. The bar area is in the centre of this ‘split level’ pub so you can at least partially see the band whilst still getting served. Perfect. A friend of mine who plays in a covers band said he’d never be considered for this venue as they only book ‘named’ musicians so Thommo has helped get The Silencerz this gig by name alone!! The number of rude boys and ska heads here suggests that his reputation has done enough to get a friendly, sizeable crowd here tonight for what is a free gig. I’ve managed to get a place right down the front and even my mum is able to get a seat for set 2 barely 5 yards from Thommo himself! My friend was also right about the acoustics – it’s spot on sound as the band go through their usual repertoire although 3 songs are featured that, are either new to the set or rarely played, namely Itching In My Heart, Wonderful One not so regularly heard and Havin A Laugh was first time out I think. With a good sprinkling of Madness fans present tonight it’s the bands songs such as My Girl and One Step Beyond that go down really well. No No No is not listed but played and is really well received. “..Boots..” also brilliant, as always. In fact the entire set is superb and helps kick 2015 into yet more Madness-based live action! “For those who were crestfallen Madness’ new single “Forever Young” didn’t crack the UK Top 75 its first week of release, take heart: “Forever Young” came in at a respectable Number 24 in the Indie Charts for the week”. With many high street outlets only stocking top twenty singles, or not stocking singles at all, the single had little chance at making a name for itself. “Just in case you’ve not heard from any other source, Forever Young saw Madness return to the charts last week after the disappointment of Sugar And Spice. Sadly it was still a glorious failure, reaching number 199 on the main singles chart and 24 on the indie singles chart. It also managed to fall to 89 from its new entry peak of 64 on the national airplay charts. Hopefully any future single releases will take advantage of chart rules and any remaining Madness completists and be released on 3 physical formats (7″, 7″ pic disc and CD) PLUS the downloads. If Cliff Richards can get to number 40 in the singles chart with 6,000 sales (nearly all on 7″) then Madness ought to be able to too. That said, Forever Young still became Madness’s 38th single to chart in the UK (39 if you count the 2Tone EP from 1993). That’s quite some record (and that’s quite some pun!). It is, of course, their lowest by some way with What’s That being the next lowest at 92. By my reckoning 4 have failed to chart completely. In chronological order they were: Our House first Virgin reissue, It Must Be Love (Tall Guy reissue), Girl (Why Don’t You?) and Sugar And Spice”. Further in, and Retro Madness were back with another one of their offers. 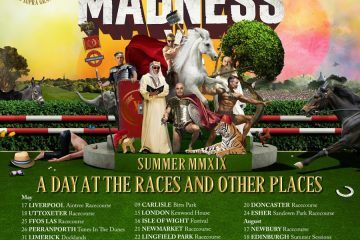 This time they were reducing the price of their 1 track promo CDs for the 5 most recent Madness singles to just £7.50 each or £25 for all 5! Next, we took a look at Nutty Radio, which had shut up shop over a year ago. Why? Well earlier in the week station founder Adam Nichols emailed a group of Madness fans via Facebook asking if anyone would be interested in Nutty Radio returning. Responses came in thick and fast, and all were extremely supportive. Would the long defunct station make a comeback? Only time would tell. We brought this issue to a close with the news that the Specials had recently announced a New York show at Terminal 5 on 21st April, shortly after their appearance at the Coachella Festival on 16th of the month. These would be their first US shows since 1980. It was the end of January, the days were getting slowly getting longer, and it seemed as if things were starting to pick up in the world of Madness (and its various offshoots). The main item of news (although details were still scare) is that the legendary Crunch! would be taking to the stage in the not too distant future for a one off gig. We received news earlier in the week, courtesy of both Lee `Swanny` Swandale and Becky `Bex` Lane that the legendary Crunch! had been booked to play the 100 Club on London’s Oxford Street on Friday 1st April. Lee and Bex told us that this was not an April fool, and the booking had been confirmed by non other than Chris Foreman, who spoke to Swanny on the phone once the booking had been made. Our esteemed Mr. Swandale promised to be back in touch with times, and support band details once he knew more. 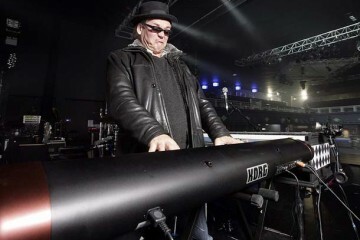 We also had a couple of other interesting news snippets – the first being that Chas would be appearing with The Blockheads on the 8th of February at the Hackney Empire Tsunami Benefit Gig. Chas would be on stage to sing “What a Waste”. Later in the month (on the 13th), Chas would be taking part at Cargo, with others including Jerry Dammers and Terry Hall. The nutty boy is back! 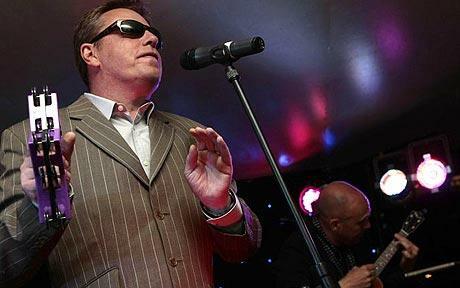 Tune into Suggs every Saturday & Sunday night from 6.00pm for a huge great helping of Party Classics! It’s an eclectic mix of old and new tracks to get you into the mood for the weekend, with artists like B52’s, Prince, Madness and Jackson 5”. Elsewhere in this issue we looked at an extremely overpriced Ska album currently being sold on iTunes, a heads-up that the Warrior Clothing web site were about to end their January sale, (so if you wanted to get hold of a bargain you needed to get your skates on) a selection of news items from the Official Madness Messageboard, and news that the MIS Online web site was now being tested with both IE and Firefox browsers, to ensure maximum compatibility. 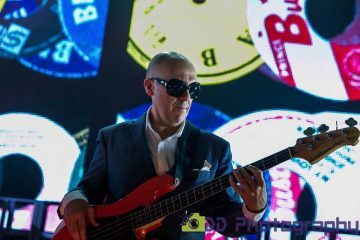 This past week started off quietly with nothing likely to happen over the next seven days, but by the end of the week, we’d had some or all of the new Madness video filmed, and a guest appearance on the BBC’s `National Lottery Show` on Saturday! Towards the end of the day on Thursday 27th, the message was blasted out across the internet in the form of an e-mail from Total Madness Mailing List maintainer, Jenny Payne, informing all that Madness were all ready to shoot the video for `Drip Fed Fred`. They wanted as many people as possible to go along to the shoot. The only rules were that you had to be there for noon and you must wear black as it was meant to be for a funeral. Simple, so where was the catch? The catch was that the video was going to be shot the next day!! If more notice was given, we’re sure a large chunk of the online Madness fanbase would have made their way to Hampstead (where the video was going to be shot) to take part, but with such short notice, obviously this was not possible. Still, one or two Maddies did manage to get along to the filming, and hopefully the next issue someone would have kindly disseminated the events that went on that day. Onto Saturday, and the Magnificent Seven were spotted doing their first piece of television plugging for `Drip Fed Fred` in the form of an appearance on the BBC’s `National Lottery Live` program. It’d been a busy few days! Slowly but surely, the `Drip Fed Fred` poster campaign finally seemed to be creeping across the country. Vince Carden reported that on Zoe Ball’s television programme the other evening the TV crew went out onto the street to show footage of `Freddie` posters on lamp posts and other places. As well as this, a certain TMML subscriber who would remain nameless just in case he’s wanted by his local police force, told us that a number of police cars in his area were now displaying `Freddie` related products in their windows!! 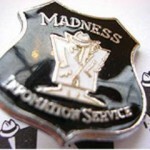 On to this week’s articles, and we started off with a request from the Madness Unsugged Fanzine team. 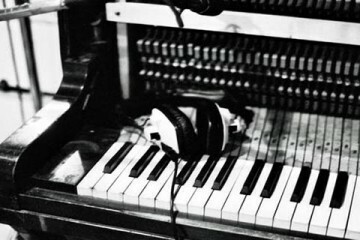 The publication would shortly be hosting an interview with the almighty Jerry Dammers, and they wanted you to send in your questions. The best questions would be put to the great man, so what were you waiting for? Moving on, and we featured a transcript of an article from issue 13 of the Nut Inc fanzine. 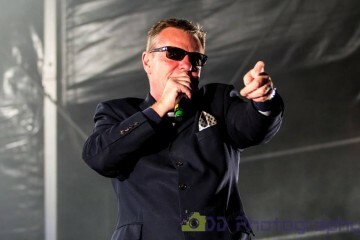 Entitled ‘No Return for the Lone Ranger’, this covered the highs and lows of Suggs’ solo career, and even today is an excellent read. Next-up was a review of ‘Uncoolohol’, a site which claimed to be the world’s first Ian Dury fan site. Designed and maintained by Wozza, Simsey and Eddie, this corner of the internet already featured some impressive content, meaning that is was one to keep an eye on. 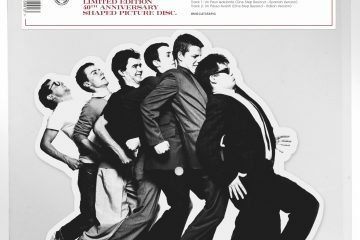 Following on from the Nut Inc transcription elsewhere in this issue we then cast our eyes over to the Madness Unsugged fanzine, where we reproduced an article looking at how the NME had treated and covered Madness / Suggs since the early 90’s. Like the Nut Inc article, this was one that is still worth reading today. We finished off this issue with details (courtesy of Emma Southerby) of the stock listing Winterland currently held of the merchandise from the last Madness tour. Following the announcement of The Silencerz gig on February 14th we are now Mad Meeting for both gigs that day. 1pm to 5pm Dublin Castle – Camden Town. Featuring DJing from MIS and Crunch! DJ set from Swanny. Plus, the return of The Skiff Skat’s country skiffle band (Featuring John Hasler & Cousin Hector) £5 on the door in the back room. From 8pm Music from The Silencerz featuring Lee Thompson. Join us at either leg of the mad meet on Saturday 14th. The Madness tour T-shirts auction we reported on last week, has now ended. The top bid was a whopping £325. Congratulations and a big thank you to the generous winner. This adds another very nice amount to the Madness fans total of helping Specialized, which now totals around the £35,000 pound mark or there bouts. As Specialized projects have now moved onto the Combat Cancer phase of the project, our Specialized articles will be less newsworthy for the MIS, so will appear less frequently. That said, we aren’t waving goodbye to Mr Willo as a team member of MIS just yet. With Lee Thompson now an ambassador for Specialized charity we will be doing some things to help the Specialized Combat Cancer project over the next 12 months in extended time for us like a 12″ record. In fact we are working on something together this very weekend but it’s too early to mention yet. Later in the year developments will emerge.